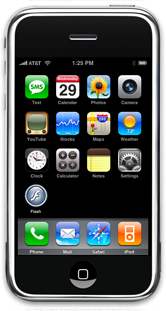 As you know that Apple iPad has already hit the market and billions of people are using this touch screen mobile. But, with time and advancement in technology, people are unable to use the high technology and their price range is a bit high. Furthermore, the Apple & CO. also introduced its iPad because it was quite user-friendly and had more reliable features as compare to iPhone. In short, after the launch of iPad, millions of users migrated to iPad and this technology has become more popular among people because of its proper visibility and affordability. So, if you are willing to experience the affordability and reliability of iPad features then feel free to migrate from iPhone to iPad. Most of the people were not happy with the size of iPhone touch system that’s why Apple introduced its touch screen iPad because it had better results and proper visibility of contents. Somehow, the techniques and applications of iPad are also different from iPhone and our developers have also mastered the techniques and programming of iPad applications. iPad has 9.7 Inch multi touch screen and you can easily handle it in your hand like a notebook. So, if you are willing to migrate from iPhone to iPad then you don’t have to worry because our developers can help you to sort out this issue without any trouble. So, bring a change in your life and daily routine tasks by using iPad applications designed by our IT Company developers.